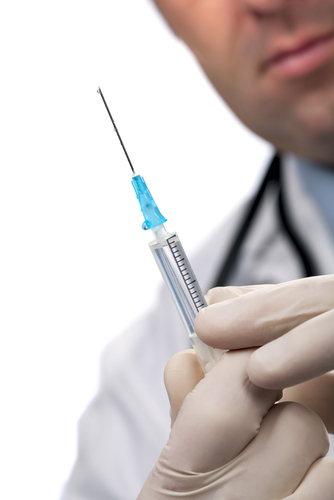 All vaccinations and immunisations are given by the practice nurse during normal surgery hours, by appointment. Please make sure that you tell the receptionist your appointment is for an injection as the nurse can only administer an injection with a Doctor on the premises. Current recommendations are that you need 5 vaccinations in your life time. This protects patients against the commonest form of pneumonia. It is recommended that all patients 65 years and over or those with certain chronic diseases have this vaccination. It is required only once every ten years. Influenza vaccines are available free of charge to all patients 65 years and over or those with a history of chest, heart, kidney or diabetic problems. We hold flu clinics in October and November every year. Students who are starting colleges or universities who have not yet had the vaccine are advised to be vaccinated. The practice is notified of children requiring vaccines from the Child Health Department. Parents will be informed by post when their child is due for an immunisation. Please bring along with you your red book.